Twitter user @saucynatt recently shared a screen shot of a conversation she was having with probably a potential suitor. Instead of charming his way into her heart, he decides to ask her to send nudes not realising what to expect. Of course @saucynatt obliged, however decided to prank the suitor by sending not one but two attachments. 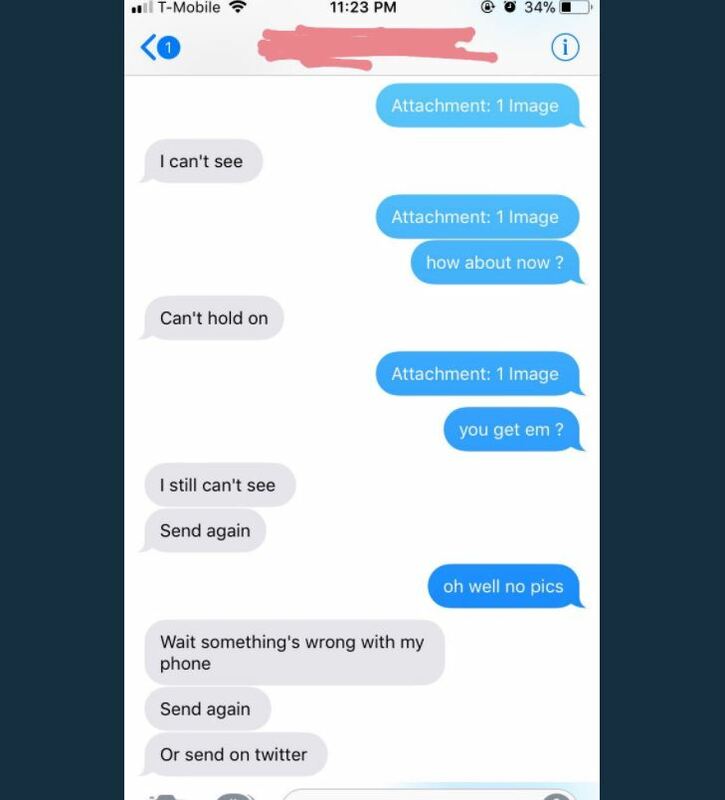 The catch of course is, there was no nudes, she just typed the word 'Attachment: 1 image' hoping the suitor will get the message and of course he did not. He asked for the image to be sent again and eventually assumed something was wrong with his phone. The tweet received well over 16k retweets and 83k likes with applauds from many of her followers. I mean, I guess he is, but still.